Barnacles: Frederick's Music Lounge, Wed.
Frank Bauer Band: Hammerstone's, Sat. Jim Becker: LoRusso's Cucina, Fri. & Sat. Ben Wah Bob: Cadillac Jack's, Sat. Big Daddy: Harry's East, Sat. Jules Blattner: Crehan's, Fri.; Fast Eddie's Bon-Air, Sat. & Sun. Blue Daddy: Graham's Grill, Sat. Bottoms Up Blues: Beale on Broadway, Mon. & Thu. Bound: Baha Rock Club, Sat. Gary Brokaw: Ethyl's Wildwood Saloon & Smokehouse, Sun. Buffalo Bob & the Bedroom Blues: Turtles on Main Street, Wed. Carry the Zero: Fat Tuesday, Sat. Frankie Catalina: Seven Gables Inn, Fri. & Sat. Chia Band: Venice Cafe, Fri.
City Park String Band: Shanti, Sat. Maurice Cole & Friends: Omni Majestic Hotel, Tue.-Thu. Colette & Scotty Mac: Velvet, Sat. Stacey Collins Band: Cutter's, Thu.-Sat. ; Jim Green's Saloon, Wed.; Crehan's, Sun. Pierce Crask: Country Club, Tue. ; Little Easy, Mon. ; Breakfast, Lunch & Blues, Wed.
Crazed Cowboys: Partner's Lounge, Fri. & Sat. Cumberland Gap: Laurie's Place, Thu. ; Obie's, Fri.
Brian Curran: BB's Jazz, Blues & Soups, Sun. ; Broadway Oyster Bar, Sat. ; Beale on Broadway, Sat. Dangerous Kitchen: Venice Cafe, Sat. Amy & Jerry Davison: Brewhouse, Wed. & Sat. Deja Who: Mr. T's 55 Bar & Grill, Fri.; Turtles on Main Street, Fri.
Mark Dew: Hide-Away Lounge, Wed. & Fri.-Sun. Diamondback: Jim Green's Saloon, Fri. & Sat. Dichotomy: Corky's Restaurant & Wine Bar, Fri.
Ron Dillow & Friends: Stagger Inn ... Again, Fri.
Dizzy Atmosphere: Ellie Forcella, Fri.
Keith Doder & the Blue City Band: Satchmo's Bar & Grill, Thu. Double Dog Dare: Baha Rock Club, Wed.
Drivin' Wheel Blues: BB's Jazz, Blues & Soups, Sat. ; Jackie Smith's Louisiana Cafe, Fri.
Dyna Flo: 1860's Hard Shell Cafe & Bar, Fri. Edge: Joe Hanon's, Sat. ; Lil' Nikki's, Sat. Endofonic: Turtles on Main Street, Sat. 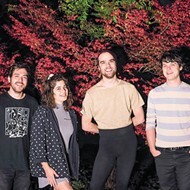 Fantasy Four: Frederick's Music Lounge, Tue. John Farrar: St. Louis Brewery & Tap Room, Sun. Farshid Etniko: Chase Park Plaza, Sun. Fifth House: George's Route 66, Fri. & Sat. Five Long Years: Mike & Min's Restaurant, Sat. Tom Flynn: Graham's Grill, Fri.
Force-N-Motion: Riverside Restaurant & Bar, Fri. & Sat. Clinton Gallagher: Seventh Inn Lounge, Wed., Fri. & Sat. Gargoyle Reign: Helen Fitzgerald's, Thu. ; Jacques Sports Bar, Sat. Rob Garland & the Blue Monks: Sqwires, Thu. Gin & Tonic: Troy's on the Park, Sat. Mark Gordon: Meridian Coffee House, Thu. Jimmy Griffin: Llywelyn's Pub, Thu. Groove Juice: Main Street Jazz & Blues, Fri.
Groovethang: Jacques Sports Bar, Fri.
Tom Hall & Charlie Pfeffer: Obie's, Sat. Hollywood Monsters: Frederick's Music Lounge, Sat. Honeyvox: Harry's Restaurant & Bar, Sat. ; Patrick's, Thu. Adam Huckle Quintet: Main Street Jazz & Blues, Thu. Jake's Leg: Magee's, Tue. & Thu. ; Cicero's, Fri.
Jimmy Lee: 1860's Hard Shell Cafe & Bar, Mon. & Sun. Jive Turkey: Llywelyn's Pub, Sat. Johnny B/Wild Times: K.T. 's Sports Bar & Restaurant, Sat. Johnny in Shorts: Rusty's, Fri. & Sat. Johnnie Johnson: BB's Jazz, Blues & Soups, Fri.
Oliver Johnson Trio: Ameristar Casino, Mon. & Tue. Stacey Johnson & the Blues: Molly's, Wed.
Just Mr.: E.T. 's House of Rock, Fri. & Sat. K.T. : K.T. 's Sports Bar & Restaurant, Wed.
Tom Kelly: Failoni's, Thu. & Fri.
Mike Klick & Athena: Gladstone's, Wed.; Caleco's-South, Fri.; Pickled Egg, Thu. Scott Laytham & Karl Holmes: Alton Belle Riverboat Casino, Fri. & Sat. John Lorraine Band: Corner Bar, Sat. Kip Loui & the Rockhouse Ramblers: Focal Point, Fri.
Love Bros.: Corky's Restaurant & Wine Bar, Sat. Love Hammers: Mississippi Nights, Fri.
Larry Mann & Mannpower: Mr. T's 55 Bar & Grill, Sat. Marsville: Molly's, Tue. ; Hammerstone's, Thu. ; BB's Jazz, Blues & Soups, Wed.
Kim Massie & Solid Senders: Beale on Broadway, Fri.
Ted McCready & Leslie White: Seven Gables Inn, Thu. Rich McDonough Band: C.J. Muggs-Webster Groves, Sat. Dave McKee: Nino's Ristorante, Wed., Fri. & Sat. Stan Meeks: Neruda, Fri. & Sat. Louis Michael: The Columns, Fri. & Sat. Modern Vintage: BB's Jazz, Blues & Soups, Sun. Mojo Syndrome: Broadway Oyster Bar, Wed.; Broadway Oyster Bar, Sat. ; Venice Cafe, Thu. Moore Pleasure Band: Laurie's Place, Wed.; Vanzo's, Thu.-Sat. DiAnne Myers: Hyatt Regency Hotel, Mon. & Tue. 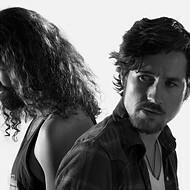 Naked Groove Quartet: C.J. Muggs-Webster Groves, Fri.
Melissa Neels Band: Novak's, Sat. Noel-A-Thon: BB's Jazz, Blues & Soups, Thu. 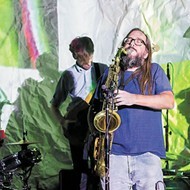 Not Waving But Drowning: Galaxy, Fri.
Nuclear Percussion Ensemble: Galaxy, Sun. Old Man Joe: Off Broadway, Thu. 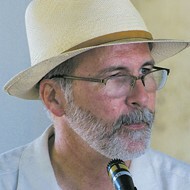 Oliver Twisted: Fat Tuesday, Fri.
Open Jam: Corky's Restaurant & Wine Bar, Wed.
Open Mic: Red Sea, Mon. ; Venice Cafe, Mon. ; Stagger Inn ... Again, Mon. & Wed.; Divinity, Wed.; Frederick's Music Lounge, Thu. ; Obie's, Tue. ; Cicero's, Sun. ; Llywelyn's Pub, Wed.; Shanti, Tue. Paint the Earth: Trainwreck Saloon at Westport, Fri. & Sat. Patti & the Hitmen: BB's Jazz, Blues & Soups, Sat. Steve Pecaro: Rich Andrews' Restaurant, Sat. Pennsylvania Slim: Jackie Smith's Louisiana Cafe, Thu. Pennsylvania Slim Blues: Broadway Oyster Bar, Fri.
Charlie Pfeffer & Tom Hall: Sqwires, Fri.
Leroy Pierson: BB's Jazz, Blues & Soups, Fri.; Sqwires, Sat. Project 3: Joe Hanon's, Fri.
Prune: Frederick's Music Lounge, Fri.
Pulse 120: Trainwreck Saloon at Westport, Thu. Punch Judy: Helen Fitzgerald's, Fri. & Sat. Robynn Ragland: Off Broadway, Wed.
Bernedette Randall & Friends: Genesis House Gallery, Sat. J.R. Reed: BB's Jazz, Blues & Soups, Sat. Relatively Stable Orbit: Creepy Crawl, Wed.
Rockin' Horse: Wild Country, Fri. & Sat. 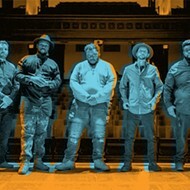 Roots Rock Society: Viva!, Fri.
Ross & Hunt & the Ground Floor Band: Molly's, Thu. Route 3: Generations, Fri. & Sat. The Schwag: Mississippi Nights, Tue. Tim Scott: Cheshire Pub, Sun. ; Lagniappe's, Fri.; Joanie's Pizzeria, Sat. Sepantha: Cafe Balaban, Sun. ; Stagger Inn ... Again, Sat. Mike Shepard: E.T. 's House of Rock, Mon. & Thu. Slave: Baha Rock Club, Fri.
Sliders: 1860's Hard Shell Cafe & Bar, Sat. Smackdaddy: Turtles on Main Street, Thu. Renee Smith & Sole Blue: Jackie Smith's Louisiana Cafe, Sat. Barb Soetebier: Tully's Famous Bar & Restaurant, Thu. Soile: Stagger Inn ... Again, Fri. Soul Reunion: 1860's Hard Shell Cafe & Bar, Thu. & Sat. Soulard Blues Band: Great Grizzly Bear, Fri. & Sat. Soulbone: Broadway Oyster Bar, Sun. Soulful Sounds: Main Street Jazz & Blues, Wed.
Station: Stagger Inn ... Again, Thu. Stone Cold: Pop's, Wed. & Thu. Dave Stone Trio: Tangerine, Wed.
Marcell Strong & the Apostles: 1860's Hard Shell Cafe & Bar, Wed.; Tuner's, Fri. & Sat. 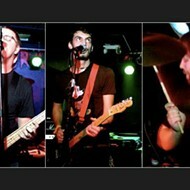 Swing Set: Riddle's Penultimate Cafe & Wine Bar, Fri.
Take Zero: Baha Rock Club, Thu. Tom Tele: Rumple's Pub, Wed. & Sun. Thunder Guppies: Trainwreck on the Landing, Fri. & Sat. Ticket to the Beatles: Smitty's, Sat. Total Eclipse: JP's Corner Bar, Sat. Melvin Turnage Band: Main Street Jazz & Blues, Sat. Uncle Albert: Hammerstone's, Fri.; Riddle's Penultimate Cafe & Wine Bar, Sat. Unconscious: Blueberry Hill, Tue. & Sun. Urge: Pageant, Fri. & Sat. Mike Vestal: Summit, Fri. & Sat. Warehouse Project: Laurie's Place, Sat. Well Hungarians: E.T. 's House of Rock, Wed.; Laurie's Place, Tue. Wild Horse Creek: Smitty's, Fri.
Tom Wood: Broadway Oyster Bar, Fri.
Wundaloaf: Satchmo's Bar & Grill, Fri.